Is Portugal's drug policy a success? Decades ago, the United States and Portugal both struggled with illicit drugs and took decisive action – in diametrically opposite directions. The US cracked down vigorously, spending billions of dollars incarcerating drug users. In contrast, Portugal undertook a monumental experiment: it decriminalised the use of all drugs in 2001, even heroin and cocaine, and unleashed a major public health campaign to tackle addiction. Ever since, in Portugal, drug addiction has been treated more as a medical challenge than as a criminal justice issue. After more than 15 years, it’s clear which approach worked better. The US drug policy has failed spectacularly, with about as many Americans dying last year of overdoses – around 64,000 – as were killed in the Vietnam, Afghanistan and Iraq Wars combined. In contrast, Portugal may be winning the war on drugs – by ending it. Today, the Health Ministry estimates that only about 25,000 Portuguese use heroin, down from 100,000 when the policy began. The number of Portuguese dying from overdoses plunged more than 85 per cent, before rising a bit in the aftermath of the European economic crisis of recent years. Even so, Portugal’s drug mortality rate is the lowest in Western Europe – one-tenth the rate of Britain or Denmark – and about one-fiftieth of the latest number in the US. . . .
It’s not a miracle or perfect solution. But if the US could achieve Portugal’s death rate from drugs, they would save one life every 10 minutes. They would save almost as many lives as are now lost to guns and car accidents combined. It’s a long article and well worth reading. I’ve always favored legalizing drugs, but I never expected it to lead to less drug use. Is there something here I am missing? It’s probably not the decriminalization alone but also the emphasis on treating addiction as a medical problem. Of course, it’s probably a lot easier to treat drug addiction when you don’t criminalize drug use. Lots of people want to help addicts in our system too, but when people caught with drugs are put in jail and have a permanent mark on their criminal record, which excludes them many jobs, it’s really hard to help them turn their life around. As someone who could/probably be classified as a person with cannabis use disorder/or pisloybin disorder, in part because I don’t think a have a cannabis use disorder, treating addiction like a medical problem sorta scares me more than not. Of course the Portugal system is still no doubt better on net, what without all the terrible side effects of the war on drugs. Still, I’m afraid the addiction model might convince people to stop using drugs that are less dangerous than extreme sports, and in so doing really hurt my quality of life, as I like to take drugs socially. Maybe I should take up hang gliding? I suspect that access to treatment (mentioned above already) is a big factor in drug use actually declining. Also, I recall reading a quote by a Dutch Minister of Health, operating from a regime of de facto pot legalization, “We’ve succeeded in making pot boring.” And I’ve heard testimonials from heroin addicts with access to legal safe injection facilities. They say things like, “The lifestyle just became boring.” Removing the social censure and medicalizing addiction seems to take some of the thrill-seeking out of the lifestyle. The dramatic reduction in drug use from Portugal’s legalization is superficially surprising, but it makes sense in light of these details. I’ve been under the assumption that America’s “War on Drugs” was based on the concept that drug use was a proxy for violent crime. So by locking up drug dealers and drug users, you’re simply locking up people who would become murderers and rapists. It certainly wasn’t a terrible assumption back in the 80s, especially when America’s crime rate was far higher than it is now. Even now, the violent crime rate is 10x higher than it is in Europe. Though things are changing now, and that assumption might not hold true today, it’s worth considering that factor when looking at our history. What Joseph k. said. If there really are effective treatments for abuse, then decriminalization may make access to treatment much more accessible. *If* this is true, I think it should count as evidence against the rational addiction model. I arrived here in Portugal around the time of the legal change. Purely anecdotal but yes, usage does seem to have gone down. One thing to note, drug tourism is still treated seriously. The police will hassle people obviously not Portuguese. Quite the most bizarre part is the heavy police presence in the major drug market in Lisbon. Dealing is still illegal but the cops are there to protect the buyers, not to arrest the dealers. All in all the real policy here is that drug taking is just one of those unfortunate things which is going to happen whatever. Thus manage it as best can be done. Minimise the ill effects as far as possible and that’s all that can be done. It’s all rather Tyler really, we’ve trade offs, not solutions. All rather adult as well. Shrug, well, the best we can do. To Right Wing House Music’s comment. Arresting drug dealers as a proxy for arresting violent people is a self-fulfilling prophecy. Those people aren’t violent if the market is legal. The reason dealers are so likely to be the victims or perpetrators of murder/assault is that violence is so much more likely to be used to resolve disputes in black markets. I often see beer trucks from two separate companies making deliveries at the same time on the same street, and they are never shooting at each other. A trivial observation, but it tells you the difference between the market for beer and the market for crack. And the “pharmacologically induced violence” was always grossly exaggerated. It’s so infrequent, it’s basically a vanishingly small fraction of users who do it. It’s a poor way of targeting violent or property criminals, because you’d have to round up a lot of innocent people for each criminal. Paul Goldstein had some good work on this from the 80s, on the “drug-violence nexus.” I suppose I’m pushing back and saying it was indeed a pretty terrible assumption, even back in the 80s. Tanks for the update, Mr Sumner! Lets have an extended war on the war on drugs. 99.99% of the rest of humanity. To the best of my knowledge, crime rates vary inversely with arrest rates. So even if we cause a few murders by criminalizing hard drugs, that’s offset by the murders we prevent by locking people up. And remember- America’s crime rates are astronomically high by first world standards. I’m not sure if ‘pharmacologally induced violence’ is the real concern; I’d be more worried (maybe the definition includes this) about poor addicts being more willing to rob (and in the process harm) in order to satisfy their addiction. And I’m willing to bet alcohol consumption correlated positively with violent crime. As for the sellers, on the one hand, I doubt Al Capone would’ve just been an auto mechanic had it not been for prohibition. On the other hand, there were plenty of well known bootleggers that went legit after the repeal (a la Joe Kennedy, though I guess it’s disputed). I don’t think it’s clear which is more common. In context, this is an argument for raising the arrest rate by randomly arresting people. I’m pretty sure you don’t endorse that, but if you’re making a more specific claim I don’t know what it is. The Paul Goldstein literature I mentioned has three basic categories: pharmacologically induced violence, violence by addicts committing property crimes to finance their habits (like you mentioned), and illegal market violence. I can’t find the quote, but in one of his papers he says that alcohol is far and away the most common drug behind the first category. Seems plausible, anyway. The “Joe Kennedy was a bootlegger” thing was probably a myth. In Last Call by Dan Okrent, the author does an enormous amount of research to track down the origins of this claim and finds it was basically apocryphal. At any rate, I think it’s clear that prohibition effectively creates a “subsidy” to do evil things. Doing away with it might not make Al Capone any less evil, but it would make murdering rivals and witnesses less lucrative. Having grown up in Portugal, I know a bit about this. Heroin usage would most likely have fallen in Portugal independently of the policy changes. This is not a contrarian view. João Goulão (perhaps the person most associated with the law decriminalizing drugs and a spokesperson for it) says as much. Falling heroin usage was a European-wide trend at the time after a peak in the 1970/80s. I also remember growing up hearing about the horrors of “Bahnhof Zoo” [https://en.wikipedia.org/wiki/Christiane_F._–_We_Children_from_Bahnhof_Zoo] which is now a perfectly normal subway stop in Berlin. The issue in Portugal was perhaps more extreme than in the rest of Europe given the history of the dictatorship, but some of it is just the cyclical nature of trends. After the transition to democracy in 1974, drug usage grew very fast in Portugal (from a baseline of almost zero) and cocaine/heroin usage was widespread (across economic and social class, rural and urban divisions). By the time I was coming of age (late 1990’s, when the law changed), drugs (especially hard drugs) were not associated with cool rebellion, but with the HIV-positive homeless person shooting up in public (an unfortunately common sight in cities). Thus, my generation was somewhat immune to the temptation of heroin. The recent uptick may just be due to the fact that younger kids didn’t grow up with these cautionary examples on the street (like how it seems that since kindergarten, I was hearing about HIV and condom usage, but for younger kids, it’s not as pressing of a concern and, thus, condom usage is falling among younger kids). Thus, the argument for decriminalization leading to lower usage is weak (note that it was not a _legalization_: you still need to buy your drugs in a shady part of town, with no quality control so that you may end up shooting chalk into your veins; you can still get fined for having drugs; it’s just not a crime, more akin to get a parking ticket). There is, however, a strong argument for it leading to less unnecessary deaths. There is another strong argument for cost effectiveness of harm reduction. Perhaps not as strong, there is an argument that it leads to less crime. These are arguments enough for the policy. My mental model for accounting for this result is that there are drug users who are not addicted, users who are addicted but prefer to continue using, and users who are addicted and would prefer not to continue using. Portugal reduced spending on enforcement and increased spending on drug counseling / services, which helps this last group to exit addiction and stop using drugs. I hear that prison is one of the best places to get drugs, so it’s not surprising that imprisoning drug users does not help them to combat their addiction. 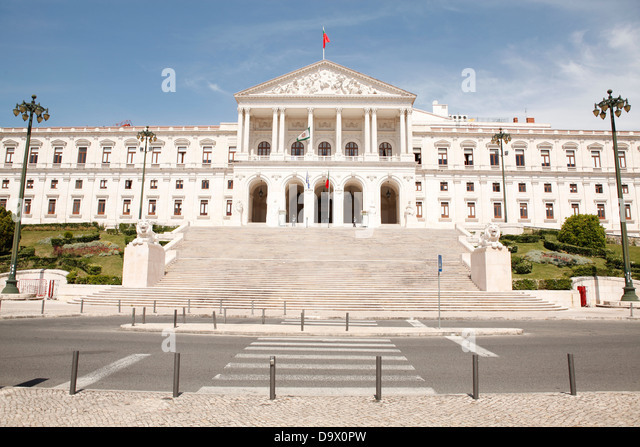 More one thing – I know some stories of many people becoming drug addicts during the military service; somewhere in the 1990s, the draft was abolished in Portugal; this could have had also some influence. I do not believe that is even close to correct. Looking at the ICVS data, U.S. robbery rates are lower than the rates for France, Germany, or England and Wales. For assaults and threats it’s lower than France, higher than Germany or England and Wales. The U.S. has an anomalously high murder rate, but murders are a very small fraction of violent crime. On what evidence do you support your claim? Luis, Thanks for that info. Just to be clear, I’d favor drug legalization even if it led to more drug use. Check out this Ted talk for a possible theory. It’s argued that Portugal has made great strides in treating addiction. My understanding is that treatment does no work. Drug epidemics seem to rise and fall, maybe Portugal legalized at the peak or some point into the decline of an epidemic. I would completely legalize it all for those over 18 years old and hope that pharmaceutical companies can produce an opioid that is resistant to causing OD’s. Seem to me that there could be a lot to be gained from Pharmaceutical Freedom. Rebelliousness/etc can’t find an outlet in something socially sanctioned. Legalization takes away a significant reason for consumption. Similarly, if marijuana is a “gateway” drug that’s yet another reason to legalize it.